Dr. Kramarich graduated from Miami University in Oxford, Ohio. He started his medical studies at the University of Cincinnati College of Medicine and did his residency training at Washington University Barnes Hospital in St. Louis. Dr. Kramarich then served for 5 years as an anesthesiologist and co-director of the Anesthesia Pain Clinic at Langley Air Force Base in Virginia. He later completed a fellowship in interventional pain medicine at the Mayo Clinic in Jacksonville. Dr. Kramarich is board-certified in anesthesia and pain medicine. Dr. Kramarich holds staff privileges at St. Vincent’s, Baptist and Orange Park Medical Center Hospital’s in Jacksonville, Florida. 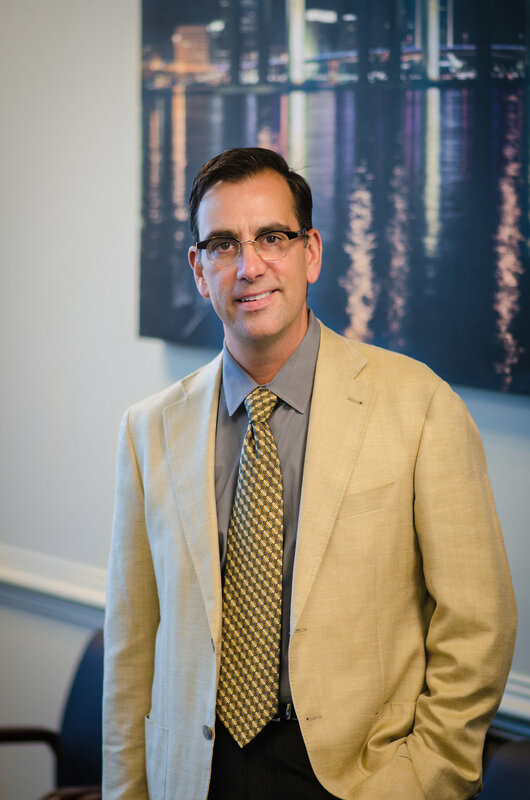 Dr. Kramarich is a licensed healthcare risk manager, has completed specialized training to treat patients with suboxone, and has an ongoing interest in evaluation and treatment of hormone balance disorders related to pain, aging and stress. Dr. Kramarich and his team are knowledgeable and effective. I would recommend them to any one that wants a compassionate group of pain professionals to help them. They are the best pain doctors in Jacksonville, FL.